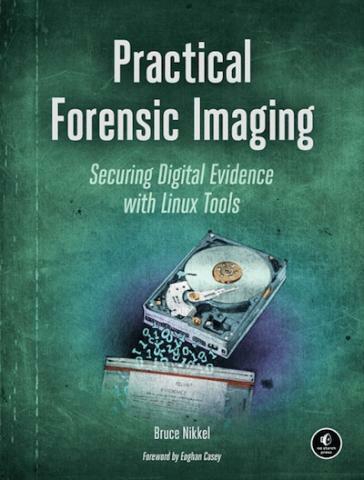 Author Bruce Nikkel, in his new book Practical Forensic Imaging published by No Starch Press, takes an in-depth look into how to secure and manage digital evidence using Linux command-line tools. This essential guide walks readers through the entire forensic acquisition process and covers a wide range of practical scenarios and situations related to the imaging of storage media. Readers learn how to perform critical tasks, such as performing forensic imaging of modern and legacy storage technologies; protecting evidence media from accidental modification; managing large forensic image files; preserving and verifying evidence integrity with cryptographic and other tools; working with newer drive and interface technologies; managing drive security and acquiring usable images from more complex or challenging situations, such as RAID systems, virtual machine images and damaged media. With its unique focus on digital forensic acquisition and evidence preservation, Practical Forensic Imaging is a valuable resource for experienced digital forensic investigators wanting to advance their Linux skills and experienced Linux administrators wanting to learn digital forensics.